Former FBI Director James Comey has a book deal. Flatiron Books told The Associated Press on Wednesday that Comey is writing a book about leadership and decision-making that will draw upon his career in government. Comey will write about experiences that made him the FBI's best-known and most controversial FBI head in recent times — from his handling of the bureau's probe into Hillary Clinton's private email server to allegations of ties between Russia and Donald Trump's presidential campaign. Trump fired Comey in May and soon after told NBC News that he was angered by the FBI's investigation into "this Russia thing with Trump and Russia," which he called a fake story. Comey has since testified before Congress that Trump asked him to end an investigation into former National Security Adviser Michael T. Flynn and kept memos about his meetings with the president. According to Flatiron, Comey will cite "examples from some of the highest-stakes situations in the past two decades of American government" and "share yet-unheard anecdotes from his long and distinguished career." The book is currently untitled and scheduled for next spring. 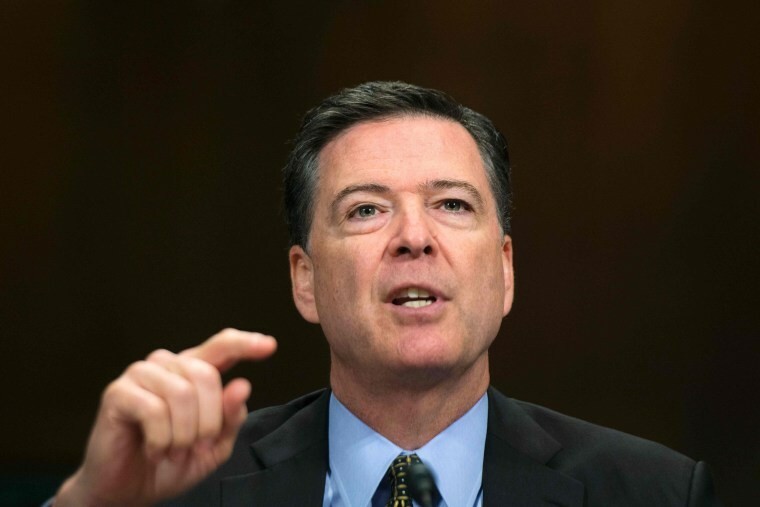 "Throughout his career, James Comey has had to face one difficult decision after another as he has served the leaders of our country," Flatiron Publisher and President Bob Miller said in a statement. "His book promises to take us inside those extraordinary moments in our history, showing us how these leaders have behaved under pressure. By doing so, Director Comey will give us unprecedented entry into the corridors of power, and a remarkable lesson in leadership itself." Comey was appointed as FBI director by President Barack Obama in 2013. On Tuesday, the Senate confirmed his successor, Christopher Wray, a former high-ranking official in President George W. Bush's Justice Department who oversaw investigations into corporate fraud.